Ferrari displayed glimmers of a return to form in 2017 with a second place finish in the Formula 1 Constructors' Championship. Additionally, ace pilot Sebastian Vettel managed a runner-up spot for the Drivers' Title after commandeering the lead for the first half of the season. While the Maranello outfit eventually fell short of hardware, it showed that glory was the closest it's been in a decade, giving hope to its faithful fanbase. 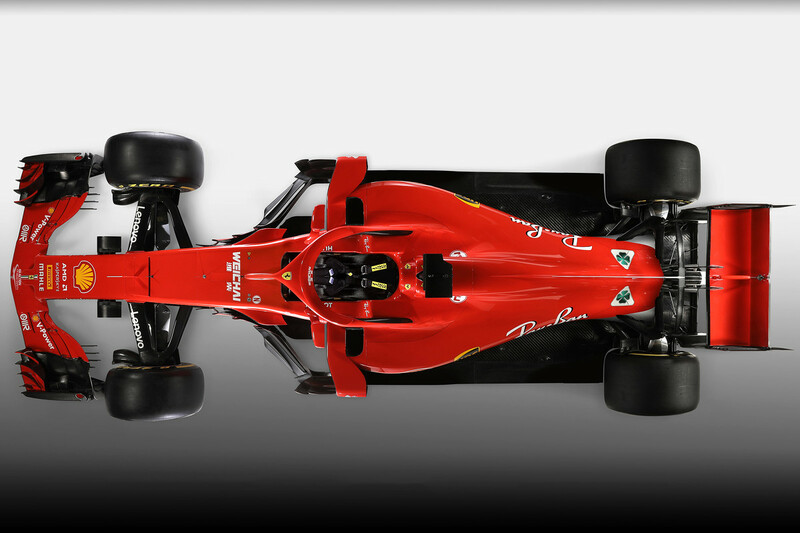 In attempts of improving upon last year's near-stellar results, Ferrari has developed its contender for the 2018 season—the SF71H. Described as an evolution of the outgoing model, this new racer is an exhibition of what Ferrari learned in its heated title bout with Mercedes last year. The wheelbase has been lengthened as a result of this in hopes of gaining a similar advantage that the Silver Arrows had at several circuits where the boys in red faltered. A revised version of Ferrari's hybrid V-6 power unit will be used to combat the high-output offerings from Mercedes and potentially Renault, both of which have several customer teams that will likely be a force in the midfield battle come opening day. 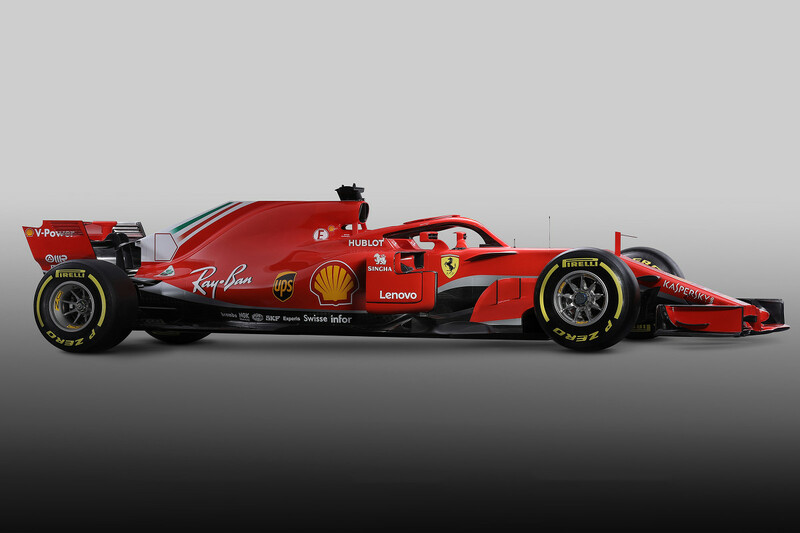 The SF71H will be the first Ferrari F1 car since 2009 not to wear Santander branding after the Spanish banking conglomerate withdrew its sponsorship over the offseason. As a result, the machine will seemingly have a mostly-blank red canvas according to the release photos. The team still receives backing from Marlboro's parent company Phillip Morris although the tobacco brand's logo does not appear anywhere in the livery. This partnership is planned to remain through 2020. Ferrari has taken a different approach to disguising the now-mandatory Halo cockpit safety device as others on the grid have. While teams like Renault and Red Bull were able to camouflage the equipment by blending it in with dark colors and subtle styling, the all-red piece of kit on Ferrari's entry is instantly noticeable at a standstill. The car will make its competition debut on March 25 at the Australian Grand Prix, a race which Sebastian Vettel won in 2017.